Silly, I know . . . So, now I'm going to reveal the bags in question and poll my blogging friends. 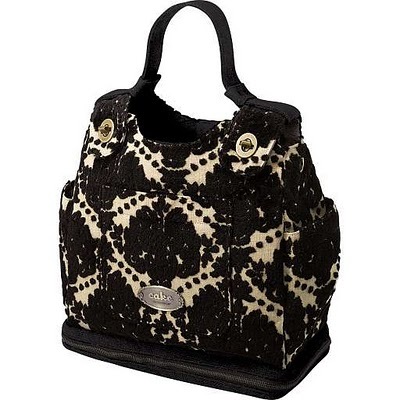 Would you buy the one on sale (the brand I've been eyeing, but an older model at 1/2 price! ), or the one you really love (same brand, but the "premium" model), not on sale, which roughly translates to 4 times (gulp) as much as the other one? Believe me, I have justifcation. I mean, if I carry this thing every day for 2 years, the cost per wear is merely pennies. Okay, cents. 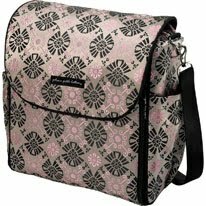 And this is my 3rd baby, so I know how much I rely on a good quality diaper bag. And people spend crazy money on designer purses all the time. This is going to double as my purse for the next 2 years. And . . . alright, enough. I do actually already have one of these bags in my possession. But I also have a receipt, and I'm not above using it!